With the first weekend of the Giro d'Italia done and the peloton on its way to Sicily it is time for a round-up of the first days of racing in Israel. Despite all the concerns about safety that were voiced before the Grande Partenza in the Middle-Eastern state, there were no feelings of unsafety amongst the riders, staff and spectators. The first start of a Grand Tour outside of Europe has actually gone very smoothly, with the biggest danger coming from the course of the opening time trial on Friday. The organisation did everything it could to secure the safety of the riders. Thousands of police officers and soldiers were doing the best they could to prevent any attack from happening, and they succeeded. Despite some crazy fans running along on the uphill stretches there were no significant problems. 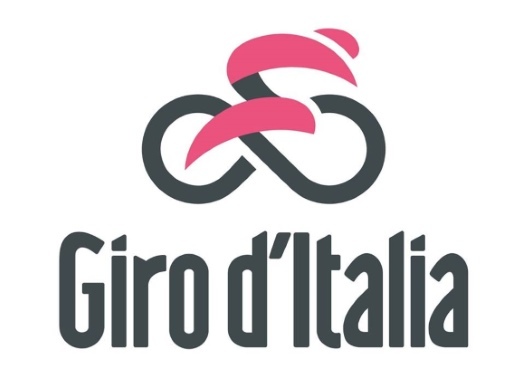 Rohan Dennis , the current Maglia Rosa, said that the crowd "took to the race very well, it is almost as if they were a really big cycling country." Tom Dumoulin started this year's race where he took off last year: in pink. He won the opening time trial with a two second margin over Rohan Dennis and Victor Campenaerts. Most of the spectacle in Friday's opener, however, happened during the recon. Chris Froome took to a close inspection of the Israeli tarmac, riding around with a bruised and scratched right side of his body for the rest of the day. Also GC contender Miguel Ángel López crashed. Worst off was Kanstantsin Siutsou. Pozzovivo's super gregario broke his third vertebra and was forced to leave the race before it even started. The time trial gave us a first overview of the shape of the GC contenders. Simon Yates (7th) and Domenico Pozzovivo (10th) performed outstandingly. On the other hand, Froome (21st), Johan Esteban Chaves (40th), George Bennett (43th), Fabio Aru (47th) and López (61st) lost significant time already to Dumoulin. Stage 2 and 3 were promised to the fast men and the fast men got it. However, there was little to do about the supremacy of this year's King of the Sprints Elia Viviani. He made a goal of the Maglia Ciclamino and he is already working on a big advantage, taking points at every intermediate sprint and winning both flat stages so far. In the sprints the fast Italian has been outstanding. In stage 2 he lost his lead out, but could still counter Jakub Mareczko after an impressive final few hundred metres. In stage three his Quick-Step team led him out perfectly through the incredibly technical finale full of roundabouts and turns. Where the time trial in Jerusalem took the riders over a beautiful and challenging course, the sprint stages were raced mostly on Israel's coastal highways. The boring roads however did not lead to boring racing. Stage 2 was characterised by the battle for pink. With both Dennis and Campenaerts within 2 seconds of race leader Dumoulin, anything was possible with three bonus seconds up for grabs at the intermediate sprints. With the Sunweb leader already telling the press that he did not want to defend the leaders jersey so early on in the race, Campenaerts was hoping to get in the day's breakaway. BMC and Dennis had other plans. They reeled in Campenaerts and let go of a small group of three riders. Just after the day's only KOM and before the second intermediate sprint, they caught this group too. Then they prepared a majestic lead out for Rohan Dennis, who beat Elia Viviani in the sprint and took the seconds he needed to complete his trilogy of jerseys. He now has worn the red jersey of the Vuelta, the yellow one of the Tour, and the Maglia Rosa in the Giro. Stage 3 saw nothing special happening, even the camels on the side of the road got bored, until about 60 kilometres before the finish in Eilat. There was a small change of direction there and there was a slight chance of echelons. No team wanted to risk it and the fight for the best positions in the peloton, combined with the strong tailwinds, made the bunch race over the Israeli highways at a pace of over 60 kilometres per hour, at times even touching 80 km/h. According to Dumoulin, this was the "hardest sprint stage he had ever been in." While most cycling followers focused their attention on the Grande Partenza this weekend, there were also other races going on. In England the Tour de Yorkshire again attracted many spectators on the side of the roads. With the beautiful weather and the breath-taking landscapes of Yorkshire, this provided an incredible spectacle. The race was won by Greg van Avermaet, honouring Andy Rihs with the first BMC victory since his death. The stages were won by Harry Tanfield, Magnus Cort Nielsen, Max Walscheid and Stephane Rosetto. The other 2.1 race this weekend was the Vuelta Ciclista Comunidad de Madrid , where Edgar Pinto, Nelson Soto and Carlos Barbero won the stages, while Edgar Pinto took the GC as well. The women were also racing this weekend, with the Tour de Yorkshire Women’s Race on the program. Kirsten Wild won the first stage, before Megan Guarnier took the second stage and the overall victory. In the Trofee Maarten Wynants Marta Bastianelli was the fastest in a group sprint.